We offer Civil Construction Services, which are performed by qualified and experienced civil work team. We maintain good quality norms to meet specific needs and requirements of construction at minimal costs. Civil Construction Works are performed using durable & reliable raw materials and modern construction equipment, which help us in maintaining superior quality standards. We supply & install Filtration System, Plumbing, Electrical, Underwater Lighting System and Valves/Valves Batteries. These Pool Pumps are installed by skilled personnel to ensure smooth functioning and efficient performance. We procure excellent Filtration System from leading manufacturers who are world leaders in Pool Equipments. All plumbing & electrical layout drawings. Long experience in this field enables us to supply and install superior Swimming Pool Accessories, which are obtained from companies of international repute. These accessories are reliable, durable and available at cost-effective prices. We have expertise in supplying, installing and commissioning Concrete Spa, Sauna Rooms and Steam Rooms at budget-friendly prices. All Sauna Bath and Steam Bath Equipment are procured from well-known manufacturers. 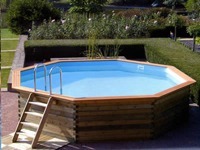 We, at Strategic Pools also offer unbeatable Swimming Pool Maintenance Services on an AMC. We ensure the pool water is maintained to international standard with the pH & Chlorine level controlled within acceptable limits. 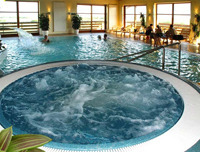 Apart from pool water treatment, maintenance and water cleaning, we also supply chlorine and necessary acid/ alkali for maintaining the pH of the water. Our company ensures that water is free of floating or settled particles by removing them through suction sweeping. These services are reliable and available at very reasonable cost.